Most of our disposable income (along with a lot of sweat-equity) was spent modernizing our home. Essentially we considered our primary residence to be our own private 401(k) plan. In addition, we owned a small cabin on twenty six acres of land where we planned to eventually retire. Our son was about to graduate from high school with honors and was (still is) a delight to spend time with. Our state of mind at the time was one of light, love and abundance. Trying to accomplish all of the above during the day, at night I would explore new concepts such as The Long Emergency, The Fourth Turning, the sixth mass extinction event and so much more including all the right things a survival retreat should encompass. My wife dedicated her evenings to researching every potential retreat property for sale in the state. Because of the situation with her brother, my father and our son, the new place had to be within a day’s drive of our family. During the following 12-16 months we carefully and methodically worked through the issues involved with reorganizing our lives in order to leave the big city and embark on a mission to save ourselves from what we were certain at that time was just around the corner. We were on a mission. The truth of imminent economic and social collapse was, from our perspective, glaringly self evident. In retrospect we had no idea the powers that be would, or even could, utilize extreme measures to keep the illusion going for so long. Nor did we expect nearly everyone else to remain ignorant of their own precarious situation. My hunch is the powers that be intend to extend and pretend for as long as they can, or at least until there is nothing left to steal or profitably control. Like Beverly Hillbillies in reverse, we packed up the truck and left all the comforts and conveniences of the big city to become off-grid homesteaders. After a year of extensive searching, we bought what we believed was the best survival retreat considering the self imposed limitations we placed upon our search. We wanted to remain relatively close to our teenage son, who did not follow us to the retreat because he was about to graduate from high school, and my wife’s special needs brother. Our homestead was located nearly three hours from the nearest big city, with acreage bordered on two sides by extensive public lands. The home and outbuildings were modern and well constructed, the five year old drilled well productive and the electrical system completely off-grid utilizing a very expensive full-blown solar (photoelectric) power system. The downside was the high altitude (7,500 ft) with the homestead and surrounding area situated on a high desert plateau…hence my pen name. These particular conditions are not something you’d normally expect to find in the Rocky Mountains. Our new retreat came complete with rattlesnakes, scorpions, tarantulas, cacti, tumbleweeds and a never ending supply of micro-fine dust. For a couple of near senior citizens, we managed to accomplish a great deal during our time there. 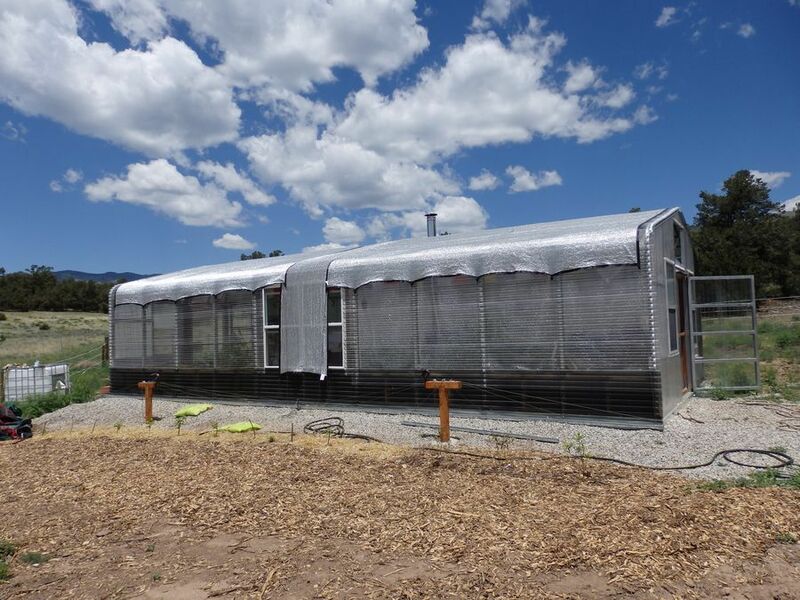 I focused on the mechanical components of self sufficient living, including the projects and supplies needed to make the place as self contained as possible. My wife concentrated on doing what everyone else said was impossible, growing food in the high desert. We were both very successful considering we had very little assistance and the learning curve was steep. In addition to the daily and weekly tasks required of those who live off grid, our first big project was to deer-fence in about half an acre where we built raised planting beds and planted apple trees. Within a few years we had created well-established beds of strawberries, raspberries, asparagus and more. The apple trees would take a few years longer to produce. As part of our all season self sufficiency plan, we built an 18’ x 40’ commercial grade passive solar greenhouse. Our intention was to make it large enough so neighbors could also utilize the three season growing space. However, with a grocery store an hour away and nearly all still immersed in factory food thinking, our neighbors didn’t wish to be bothered with walking or driving the quarter mile to our place to grow their own food. Our high desert greenhouse with the sun shade partially deployed. In addition to the outlying gardens and greenhouse, we built numerous water trough gardens and placed many growing bags on the expansive north and south decks of the house. We soon harvested an abundance of tomatoes, chard, carrots, potatoes, and herbs. You name it and my wife grew it, although it was impossible to do so according to everyone in the area. They had all tried once, failed and given up. For my part, in addition to the greenhouse I converted a large metal building into a fully insulated and heated work shop. We installed a wood fired boiler in the house along with a large on-demand water heater as a backup to the propane furnace and water heater. I added independent solar electric systems to the shop and the greenhouse, adding a small amount of redundancy to the overall electrical system. Anyone who has lived the homesteading life knows the to-do lists are endless and ever changing. There was never a dull moment and our lives were full and productive. At the end of each day, along with the physical exhaustion, we both felt a sense of pride and accomplishment. However, along with all the labor intensive successes came more than our fair share of difficulties. In my experience, unexpected difficulties and disasters usually stem from acts of nature, our own actions or in-actions, the actions or in-actions of others and plain old bad luck along with Murphy’s Law. Sometimes s**t just happens. Our time at the homestead would offer up a multitude of challenges from the above list of causes. As a prelude, our stay at the homestead included periods without water, without power, broken equipment (again and again) and fighting off a constant onslaught of rodents. From the neighbors we encountered a suicide, a sexual predator, psychosis bordering on clinical insanity and a lawsuit over easements. Although we made one good friend on the mountain and another in the small town nearby, for the most part the people here were as backwards as they come. Many were openly bigoted, simple-minded and definitely not open to new ideas since their truth was the only truth. Several were ‘preppers’ of one genre or another. If their ideas of how the world should be rebuilt are the only options available after a systemic collapse, I would rather be among the first casualties. This article would turn into a book if I went into any degree of detail regarding the good, the bad and the ugly we experienced during our four plus years at the homestead. With this in mind I shall only touch on the highlights, since my intention is not to dissuade anyone from following the same path. This article is not a warning of “don’t try this at home kids.” There may be, and probably are, many who made a similar move and now live a happy and productive life. We were not among them because after moving from one altered state of consciousness to its polar opposite, we found ourselves terribly out of balance with the world and each other. Ultimately this three-part article is not about off-grid homesteading, but about finding balance in a chaotic and at times frightening world. So let the chaos begin! Some resident ravens letting us know who's the boss. The preface of things to come began with an introduction to an adjoining neighbor. He showed up at our place around ten in the morning already thoroughly drunk. Apparently he and his wife drank throughout the day until they fought and passed out at night. While you can research a physical location pretty thoroughly, discovering the quality and character of the neighbors is darn near impossible without someone already on the ground feeding you this information. The previous owner and realtor certainly won’t inform you there’s a drunk living next door. And while knocking on doors in a town or city might elicit some useful information, doing so in such a remote location might produce only a gun in the face. At that point you’re not a neighbor, just a nosy and unwanted outsider. At the risk of painting with too broad a brush, some ‘preppers’ and other remote (off-grid) homesteaders tend to be somewhat suspicious and socially disaffected and do not take kindly to (city) strangers showing up on their doorstep asking all kinds of questions. While it is strongly advised you make some type of effort to learn the lay of the land, ultimately you take what you get and learn to live with it. Neighbors are like in-laws, they come with the territory. Trust me; they feel the same way about you. Six months later (and in the dead of winter) our drunken neighbor decided to commit suicide, leaving us and the surrounding neighbors with his widowed wife along with their four horses and four dogs to tend to. The wife went into total breakdown mode. It was basically a full-time job for my wife and I until some of the widow’s household responsibilities could be delegated to others several weeks later. This was a disaster caused by the actions of someone else. While some might think it wasn’t our responsibility to help the widow out, when disaster of any type hits a (very) small community, everyone steps up and pitches in. It is particularly important for the new kids on the block to participate since this is when your measure is taken by the community. Your absence will be noticed much more than your participation will be acknowledged. Regardless of whether or not this was true in our situation, the horses and dogs were essentially innocent bystanders and did not deserve to suffer because their owner killed himself in a drunken stupor. Next up was the well. Humans can only survive a few days without water. As outlined in Part One, my wife created an efficient system for researching potential retreat locations. This included investigating the water well permit, not only for the property in question, but also for the surrounding properties. Although the new retreat was at high altitude and on the desert side of a valley, it had an awesome well by any measure. Only five years old, it wasn’t terribly deep by mountain standards but still produced twelve gallons a minute. Some of the neighbor’s wells were even better. What we didn’t take into consideration was the fact our state was on the tail-end of an extended drought. What held true five years ago when the well was drilled was no longer relevant. We should have had the well refresh rate tested before purchasing. But based on the initial well permit, the neighbor’s wells, the remote location and the short time period between our offer and actual purchase, we did not. My bad! A major difficulty was about to manifest due to my own inaction and Mother Nature. It was mid-summer, only a year after moving to the retreat, when the well went dry. In the now six years since it was drilled, the static water level had dropped from 75 feet down to 180 feet, the level of the submersible pump itself. 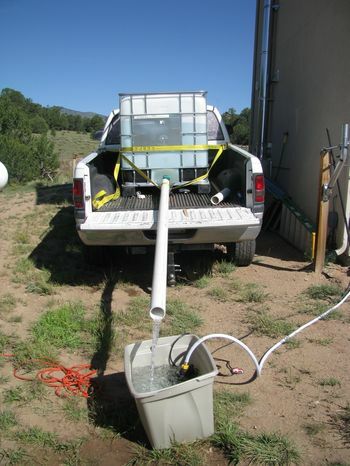 Fortunately we had already installed a 500 gallon water tank as a backup, but we still had to make several trips into town with another large tank to transport water back home until the well was repaired. From town to truck to bucket to tank. When there's no well, where there's a will there's a way. Having the well re-drilled to a depth of over 500 feet, then extending the submersible pump down to that depth, took a week and cost over $11,000. The take away lesson from all this is not to make assumptions with something as important as your source of water, regardless of the documentation presented by the seller or researched by you. Assume it is a life and death situation and act accordingly. The same applies to complex mechanical systems you have little working knowledge of. As previously mentioned, the retreat was originally designed and built to be entirely off-grid. It utilized top-of-the-line solar panels, charge controllers, inverters and specialized storage batteries. When initially inspected during our first walkabout, it all appeared in good shape and functioning well. While I had a basic understanding of how it all worked, I most certainly was not well-versed in the particulars. I was about to get an expensive education. The more complex a system, the more things can go wrong, especially if such the system is not properly maintained. In order for a photoelectric system to work, all the components (and more) must be properly operating. If one element fails, the entire system goes down. Naturally, our introductory lesson to this stark reality came in the middle of a Friday night. While only four years old, therefore newer than the entire system, one of the power inverters fried, shutting down the entire household’s electrical system. Because it was now the weekend, whatever parts we needed to order would not ship out until the following Monday…assuming I could properly diagnose the problem. A new inverter was insanely expensive, but the manufacturer sold rebuild-kits for significantly less. With years of experience building dozens of computers from component parts, I opted to go this route. The inverter parts arrived later that week. I rebuilt the inverter and we were back online after almost a week of down time. Thankfully we had the whole-house backup generator running as needed during the week, so no perishables were lost. I’m glad I took the time to learn how to rebuild the inverter because before our time at the retreat was over, the inverter would fry again. Since I mentioned the whole-house backup generator, I might as well bring up the fact we needed to replace it…twice. The original generator was only five years old. 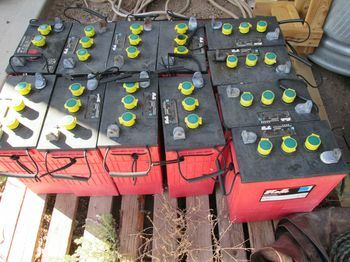 But as with all newer generators, it contained an electronic control board and a dozen sensors and safety regulators. One day the generator started, but then immediately shut down. Repeated efforts to get it to run continuously failed. After replacing the motherboard and several other components to no avail, I gave up and replaced it with an expensive Cummins-Onan generator. At least our back up power source was working again. About a week after the gutted off-grid use warranty expired, so did the new generator. Most whole house generators have severely reduced warranties when installed in an off grid location, even if it is only used as a backup power source. The new generator sucked a valve and the engine needed to be replaced. Between the freight and rebuild costs, it was cheaper just to buy a new generator of a different brand. Is it just me, or does it seem like most things today are intentionally designed and manufactured to break down shortly after the warranty period? Since I can’t really blame the generator breakdowns on anyone else directly, I’ll chalk this one up to bad luck and Murphy’s Law. Among all the challenges we faced (and I’m only covering a few of the more severe events in this article) there were two in particular that could be considered the straws that broke the camel’s back. Both were caused by the actions of others, but in two very different ways. An off-grid solar electric system is only as good as its solar batteries. The battery storage sub-system provides electrical power at night and on cloudy days. Apparently the previous owner had not only abused the batteries by using an electric clothes dryer and sauna, but the batteries were not properly configured or maintained and began to fail. My wife and I still assumed things would begin to collapse at any time, so replacing the batteries became a priority. Like re-drilling the well, this wound up being an $11,000 expense. A quality high capacity battery bank is quite expensive. Rebuilding the inverters, replacing the generators and now the batteries; this had turned into a never-ending and very expensive battle to maintain our off grid electrical power system. Dead soldiers. Such a waste. To explain the next situation I needed my wife’s permission to write about it since it directly concerned her. The short version is that upon our move to the retreat, one of our new neighbors had befriended us and would often visit. He was a man of impressive stature; former law enforcement, retired and married, he and his wife had no qualms proclaiming their devotion to Christianity. About a year or so before we decided to leave the retreat, my wife informed me our neighbor had begun spending a lot of time grooming her to have an affair. He was very good at it and in light of what we came to know about his history, it became clear he was probably a life-long sexual predator. The only reason I bring this up is because recent headlines and scandals prove this is not an isolated occurrence. Obviously his behavior put a permanent wedge between me and this friend. Worse, it terrified my wife. She no longer felt safe, and I knew I could never count on this individual if things did hit the fan. Unlike all the other problems we encountered, this was not a fix or repair situation other than to banish him from the house and property. In a town or city, breaking from one neighbor is not as big a deal as when it is done within a small community of neighbors. They say all politics are local. And this is a perfect example how personal relationships in a small community are often political in nature. Rarely is there ever a win-win situation with these delicate circumstances, especially when there is very little normal about any of the neighbors. Speaking of rodents and other such pests, the wild rabbits were never much of a problem. We rather enjoyed getting to know the various bunny families. But I most definitely cannot say the same for the mice, chipmunks and packrats. They were everywhere, into everything, and seemed to be unstoppable. I had built the greenhouse to be rodent proof and finally got it right after the third major modification. After repairing the chewed wires in our vehicles a couple of times and constantly setting traps in the interiors, the thrill was completely gone. At the end, I even started to lose my love for the rabbits after they began to build huge tunnel networks underneath the concrete slab of the shop. I fully expected to see additional cracks develop each time I pulled a vehicle in for maintenance. The lawsuit never had my love either. It was a rude awakening into how insane the legal system has become. In essence, one of the non-resident property owners had purchased her property without a clearly defined legal ingress and egress. She was ‘told’ what her easements were, but such was not defined in her deed or any of the adjoining neighbor’s deeds. There simply was not any legally defined access to her property. She should have filed suit against the Realtor and title company. Instead she sued us and two other neighbors whose property allegedly contained her claimed historical easement. Incredibly, she demanded the right to put a thirty foot wide road through all our properties which would run smack dab in front of an existing home. You would think the fact such an easement did not exist in county records or in anyone’s deed would be the end of it. Not in today’s world. As insane as her claims and demands were, we had no choice but to hire a specialized attorney. The lawsuit dragged on for over a year. It was the last significant and unexpected expense we were willing to deal with. While we proved our resilience and determination throughout our time at the retreat, it had taken a huge toll on us individually and as a couple. We paid the price physically, emotionally and spiritually. The red pill moment had changed us. The nearly five years of turmoil transformed us into people we no longer recognized. For us, the pendulum had swung from one side all the way to the opposite. The situation was not sustainable and we were on the verge of collapse long before the world began its own spiraling descent. Part three of this article describes how our experiences at the homestead once again changed our state of mind, our belief system and threatened our very sanity. Had we not long ago developed the ability to recognize when our emotions, beliefs and mind had become so off balance our very survival as a couple (and as individuals) was at stake, this story would have had a very different ending. As it always does, Mother Nature demands balance. And ultimately she has the last word on the subject. The only question is, were we willing to listen? Thanks for posting this, search.